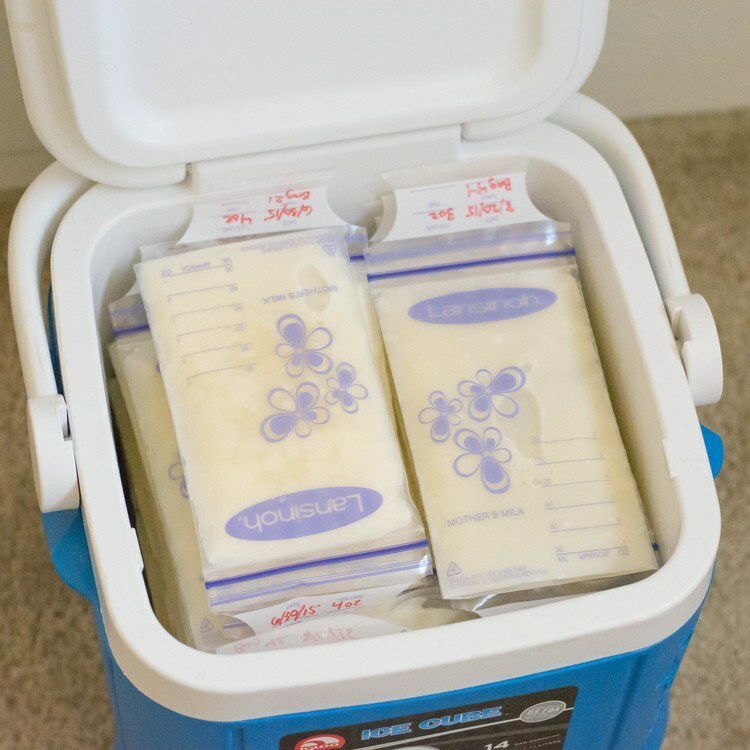 Tag Archives for " Breast Milk "
A story lighting up the internet is of a US mother-of-two has vented on Facebook that she was forced to dump 500oz (14.8 litres) of breast milk at security at London’s Heathrow Airport. In a long facebook post, Jessica Coakley Martinez posted an ‘open letter to to Aviation Security in Terminal 5’ where said she felt “humiliated”. “You made me dump out nearly two weeks worth of food for my son,” she said. Some key parts of the story : Her 8 month old baby was not with her; She had a mix of liquid and frozen milk – 2/3rd being frozen; After being told it would be confiscated and then said she wanted to check it in instead, the security said that she could not as she had now passed the border (ie/ it was after passport control). She had not checked rules and regulations ahead of time. To put this in context, 14.8 litres is almost 4 gallons. That alone will be 32 pounds not counting any cooling aids or insulating container. This is one mom’s tale , Jessica Thomas of flying with 1 gallon frozen milk in the US where she flew with Southwest. Both Southwest and TSA were sympathetic in handling this but look at how she travelled with 1 gallon cooler. Look how big it this cooler is and this is just for 1 Gallon. Jessica provides some help full information in how to pack insulation and gives some guidance about dry ice. It gets complicated in that dry ice needs to be vented and sealing it could problems.. So what are the rules? From the IAH website you see liquids are limited to >=100ml. There is exceptions for exceeding the 100ml limit for baby milk but the mother must be traveling with an infant. 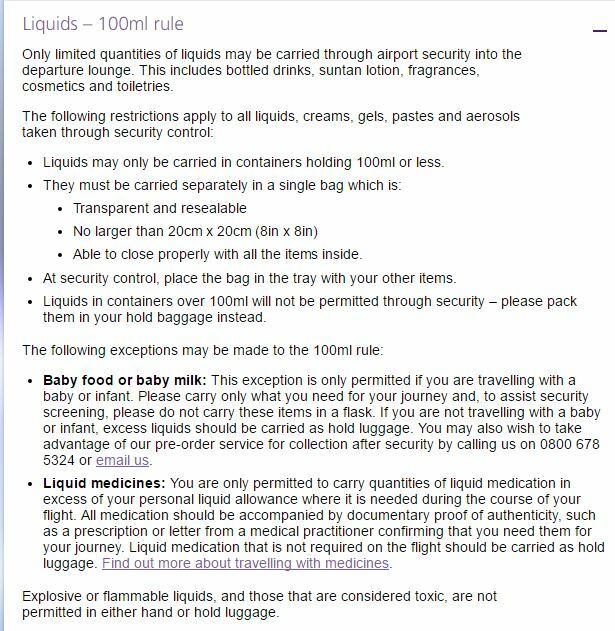 LHR : The 100ml rule exceptions for breast milk IF the baby is present. Going above this, they recommend checking it into hold luggage. Now as for Terminal 5 and additional controls, it is somewhat hidden on their website but it does point out that in T5 North has additional restrictions that other terminals do not have namely the inability to return to check in as your have now passed immigration. They strictly separate incoming passengers from outgoing passengers and even if Ms Martinez wanted to come back, she’d have to come back in through immigration. Good luck explaining this on your immigration form : purpose of visiting Britain – check in breast milk. How long will you be staying – 2 hours? Place where you’ll be staying – T5. Yeh, pull the other one. Note that it says that you can use MailandFly but I very much doubt this would have been applicable here. Firstly, the milk would not keep. Secondly, why would a shipment company handle this : It is a potential bio-hazard if it goes off or leaks during transit. Third, how would customs have treated this? Seeking input from an experienced Mom I asked my youngest daughter, Noela, who has 2 toddlers – a 3 year old and a 2 year old where she breast fed both and would often fill up our refrigerator when visiting. I asked her about this story specifically pumping and freezing it. She said she would freeze it in regular freezer but when I asked her about transporting it, she said she’d do it with dry ice. She then said it would only be good for about 6 hours. I then asked about transporting 4 gallons on a plane. She burst out laughing and said that is a LOT of milk to be transporting and if traveling transatlantic, would likely go off. I then mentioned that the mom was from California to which she then rolled her eyes. Noela lived in California and particated in mom groups. She described some as being militant breast feeders and obsessive about their kids. She then added that she didn’t see what the fuss was about. She could simply breast feed the traditional way or heaven forbid, give the kid formula milk. So in this case, our sympathies do not lie with Ms Martinez. What she was doing -14 litres of milk- was highly irregular especially since you did not have your kid with you. She should have done her homework. That being said, I’ve had my runs ins with Heathrow security before. Once was when I had my SLR Camera over my neck as there was no room in my backpack and I had a carry on bag of other items. They said 1 carry on so I simply opened my backpack put SLR on top but didn’t close it. After Security, I then removed my SLR and put it back over my neck. Another was when one of my shoes fell out during the xray screening. The ‘not my job mate’ screeners would not look for it until I found a supervisor. T5 is also one with occasional problems with the luggage. However, T5 is an exclusive BA terminal but the bigger issue here is that British Airways has a stupid policy of charging you to select a seat ahead of time, may make you want to think twice about flying from here. You may getter better deals with the other US airlines. For example, United seems to be cheaper at the moment but this may change in time.